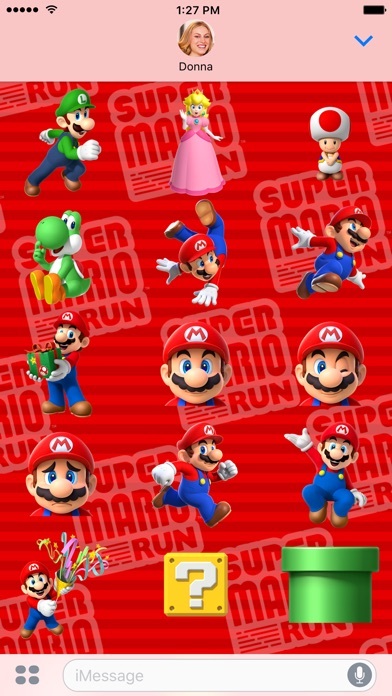 Stickers from Super Mario Run, which is now available on the App Store. By adding a cap or mustache to a photo, anyone can be Mario! Release Notes: Compatibility with Korean. 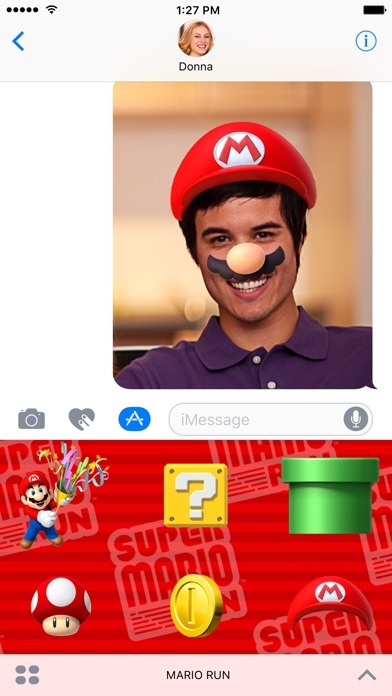 The i message super mario stickers are cool but I think you could add more stickers like cappy or shadow mario. Hello I am grace and I love these stickers!! More please!!! Me and my dad are super Mario fans and this is perfect! Thanks a bunch Nintendo!! I don’t have the game, just the stickers. 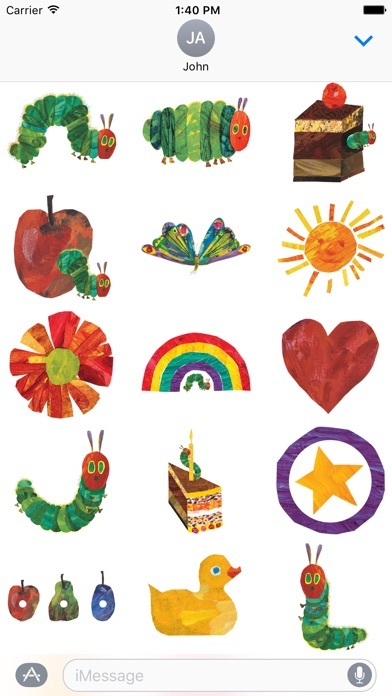 Good free stickers. How can I delete it to try another sticker ? 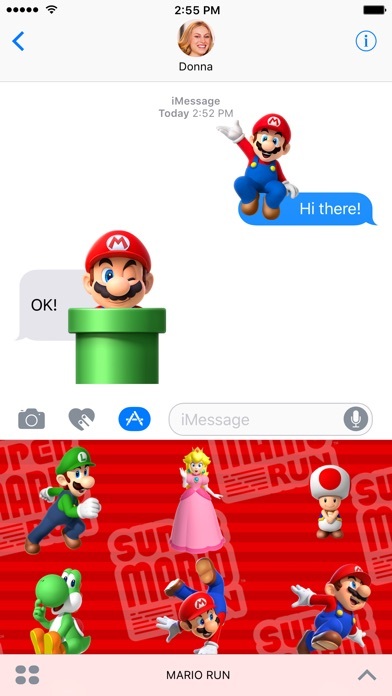 Awesome Stickers for Super MARIO Run!!! Rating it a 4/5 because of the sticker variety. Please consider more stickers and characters(be nice to have koopa minions)... can't get enough of Mario!!! Can we get some more Mario games? For those of you looking to find the stickers... go to an iMessage.. tape the arrow so your choices come up... tap the triangle protractor thing.. when pics come up... swipe left until you see the stickers ... hope that helps! I like using these! I finally can give someone a Mario cap, or put a coin right in someone's face! Anyway, some people complain about how they can't delete it. 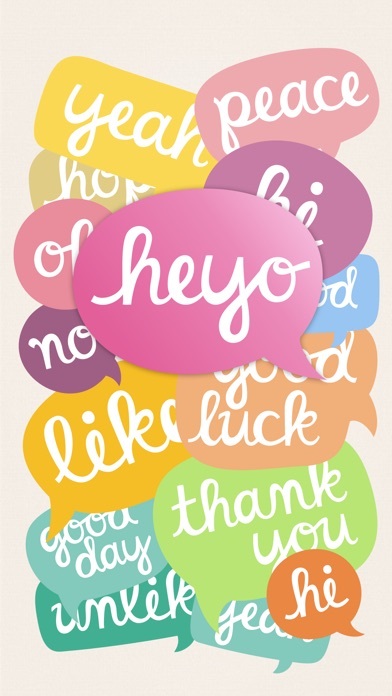 For one, go into iMessage. Tap on the sticker icon, and tap the icon in the bottom left corner of your screen. You should see all the things you can use. Tap and hold, just like for apps. Tap the "X", and it'll delete it off your device. Done! Soooo cute and fun. Please add more stickers!